November 5, 2008- Working Fire in Wayne Twp. 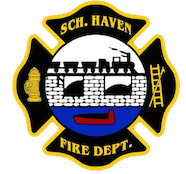 November 5, 2008- At 03:06 Schuylkill Haven stations 1 & 2 were dispatched to assist District 34 (Friedensburg & Summit Station) on a working structure fire at 1188 Custer Drive, Wayne Twp. Station 1 was dispatched for Ladder 725, while Engine 732 from Station 2 was tapped to assist with manpower. More informtation and pics will follow….